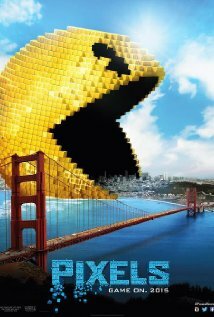 Kingman Historic Theatre: Showing at the Kingman Historic Theatre Pixels!!! Showing at the Kingman Historic Theatre Pixels!!! Showing this weekend Aug 14-16 Pixels. All show times at the Kingman Historic Theatre are at 7:30 P.M. This movie is rated PG-13 and stars Adam Sandler, Kevin James, Michelle Monaghan.